Claudia is a Ph.D. student at West Virginia University where she works at the Human Computer Interaction Lab. She is a research collaborator at National Autonomous University of Mexico (UNAM). Her research focuses in social computing and crowdsourcing to design systems that foster coordination of volunteers and empower communities to reach more complex goals. She is currently doing research for the Wikimedia Foundation and PETA where she focuses on recruiting and retaining experts in social networks for execution of micro-tasks. 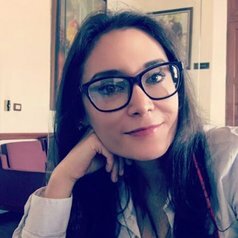 She has developed her career as an technology advisor for the government in Mexico where she has participated in the deployment of the national digital strategy at the local level to give internet access to rural areas and has also developed social media communication strategies for civic engagement. Ph. D. Student. Computer Science. West Virginia University. USA. Master of Information Technology Management. Monterrey Institute of Technology and Higher Education. Mexico.